With this example you can find out the active, idle connections, etc. from a tomcat connection pool. This is very useful to know if you are not closing all your connections or if you want to double check how the pool is working. 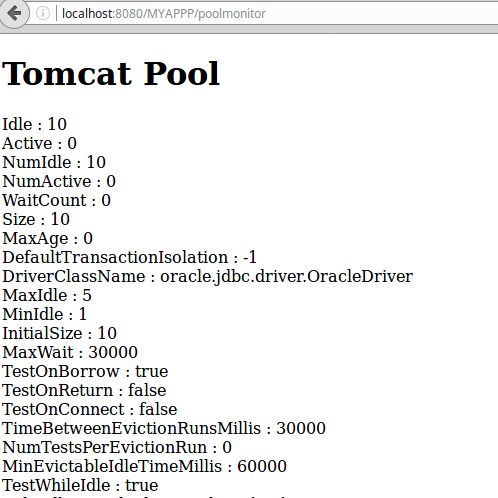 writer.println("" + mf.getName() + " : "
This example read the tomcat pool MBeans which follow the JMX specification. 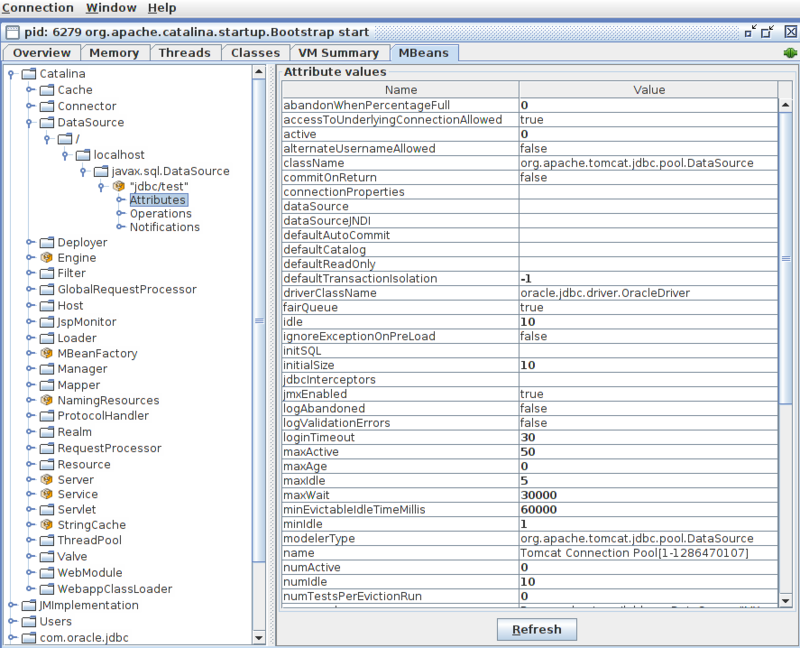 You can also use JConsole to monitor all the JMX beans available.